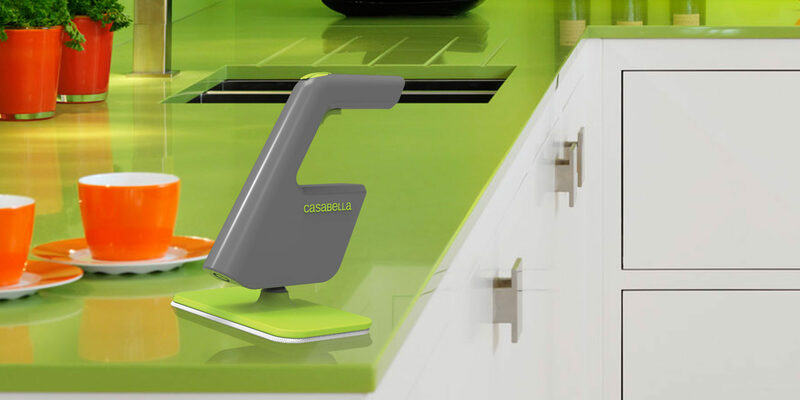 Mopi is all-in-one cleaning tool for kitchen counter tops, windows, floors, shower tiles and tubs. It is a one hand operating tool that brings a cleaning spray and a wiping pad in one package, and it never scratches. This mop is designed for tougher to clean surfaces, or just the quick weekend clean-all. The ball socket makes the mop head easy to rotate for different angles. The liquid container holds 5.5 ounces of cleaning solution, and the microfiber pad is easy to change and clean.